This year, Luminox introduces Steel Colormark Chronograph 3180 Series, a brand new line of rugged watches cased in steel. A timepiece built for extreme adventure, this new series brings chronograph functionality to the steel color mark. The addition of chronograph models represents a natural evolution of the Steel Colormark Series. The muscular 44-mm stainless steel case is designed to stand up to extreme conditions. Its unidirectional ratcheting bezel and highly scratch-resistant tempered mineral glass crystal protect the chronograph dial, which displays elapsed time up to 12 hours. 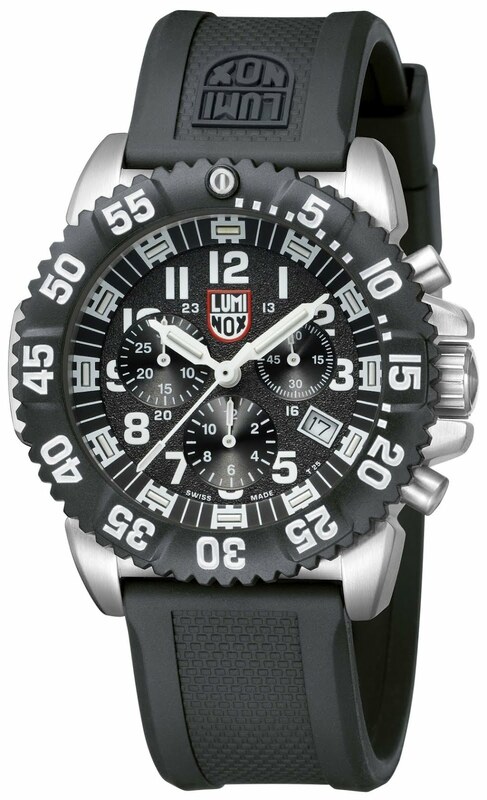 Its color-coordinated numerals, bezel markings and hands are earmarks of the Luminox Colormark line. The series has a screw-down crown and caseback ensuring water resistance to 200 meters and is available on a solid-link stainless steel bracelet or a signature polyurethane strap featuring the Luminox shield. Like all Luminox watches, the watches of the Steel Colormark Chronograph Series are Swiss Made and feature Luminox Light Technology (LLT), a dial illumination system that glows for up to 25 years, regardless of conditions, so that the watch is always visible. And the watch is water-resistant to 200 meters.